The patrol rifle is here to stay. 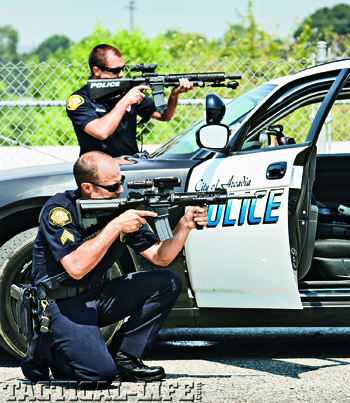 After years of us begging, pleading and even threatening to get our departments to warm to the idea of a rifle in the car, the tide has turned and the AR-rifle is now a regular tool in the patrol officer’s arsenal. Most AR-type manufacturers even have a “patrolman’s” version of their weapon — Colt, Bushmaster, Smith & Wesson, or DPMS, to name a few. 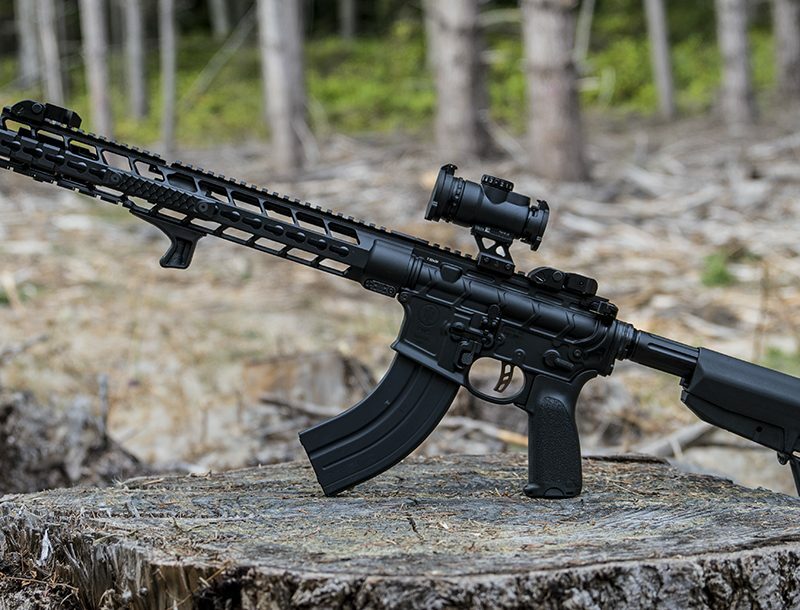 These weapons are generally pricey, but still within a working guy’s budget and come from basic plain-Jane to tricked-out battle-ready setups. 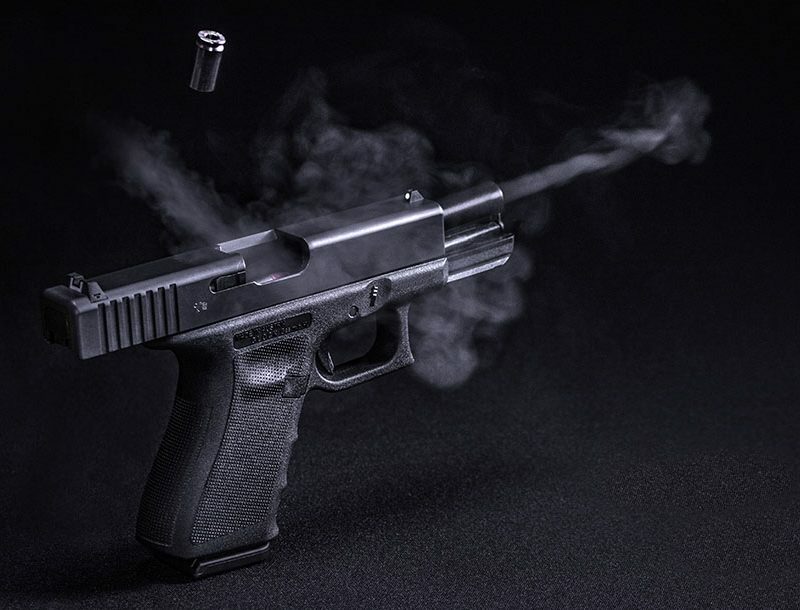 As with everything else in law enforcement, this platform is still evolving and we are finding new ways to improve these guns to better serve our needs; things we can add on later as we go that adapt the gun better to its “mission” in our particular beat. the street so its ready for patrol. There was a time when any weapon you carried had one set of sights — the iron ones put on by the factory. Scopes or optics was seen as a “sniper” thing, but over time our views on this have evolved to embrace some alternative sights. As someone whose eyesight has started to see the “other side” of 40, I now recognize the need for optics. “Optics” does not always mean scopes. 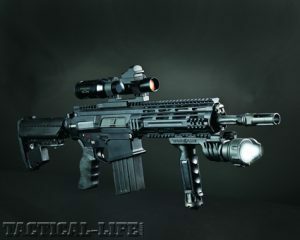 Many of the best optics for the patrol officer have no magnification, such as EOTech Holosights and the Aimpoint Micro series. Both are red-dot style sights and do an incredible job of putting that dot on a target, making an accurate shot possible with greater speed. Both of these models are reasonably priced, and are battle-proven. If you want to spend a little more, or are out in a more rural environment where longer shots are more likely / practical, a scope with 1-4x magnification is an option. Leupold’s CQB is a well-established choice. The new Safariland Rapid Reticle is another example of the excellent choices coming out of the marketplace. The Rapid Reticle has internal aids to help you judge distance to your target as well as helping you make adjustments for range. Both the Leupold and Safariland have illuminated reticles for low light because we all know that when the proverbial brown stuff hits the fan, it’s likely going to be in low light. One thing to remember about having an optic sight on your rifle; you always need a backup set of iron sights for those times when Murphy’s Law comes into play. Maybe the batteries decide to take a crash right when you need them, or your optical sight gets damaged. Magpul makes a durable and economical unit, as do GG&G, Yankee Hill Machine, and others. These backups are essential no matter which optic you choose, have a backup iron sight.